1c dance out and cast round nearest W (1M up, 1W down) to meet in the middle ; dance out and, cast again round nearest M (1M up, 1W down) into 2pl own side. Added on: June 26, 2017, 2:37 a.m.
2012 Asilomar Kim McGarrity Memorial Ball 2012-11-03 Andy Peterson March 19, 2018, 5:57 a.m.
Darmstadt_2016_07_11 2016-07-11 OnYourToes Darmstadt July 10, 2016, 9:08 p.m.
Delaware Valley RSCDS Spring Ball Brunch Dance 1990 1990-03-25 Andy Peterson March 11, 2018, 5:03 a.m.
Pinewoods Scottish Session I - Highland Ball - 2012 2012-07-07 Andy Peterson March 11, 2018, 6:56 a.m.
RSCDS Book 30 2015-09-20 Angelika Schmidkonz Sept. 20, 2015, 12:38 p.m.
Orange County 2015 Christmas Ball 2015-12-12 Ward Fleri Nov. 8, 2015, 3:07 a.m.
Young Dancers Workshop Heidelberg 2018 (Intermediate/advanced class) 2018-09-29 Tim Hoffmann Oct. 8, 2018, 12:29 a.m.
Budapest Local Club 12.12.2017 2017-12-12 Zsófia Varga Dec. 14, 2017, 3:44 p.m.
San Jose Class 2/26/2018 2018-02-26 Dilip Sequeira Feb. 2, 2018, 7:56 p.m.
New York RSCDS Jeannie Carmichael Ball 2001 2001-11-03 Andy Peterson April 1, 2018, 5:50 a.m.
Budapest Local Club 23.11.2017 2017-11-23 lldikó Szakolczai Nov. 23, 2017, 10:50 p.m.
Social class 10-29-2018 Clifton Heights PA Terry Harvey Oct. 29, 2018, 11:12 p.m.
HHK September 18 2018-09-18 Elizabeth Buonomo Sept. 17, 2018, 3:13 a.m.
Budapest Dance 16 December 2017 2017-12-16 Zsolt Molnar Oct. 20, 2017, 8:15 p.m.
Budapest Dance 16 December 2017 Final 2017-12-16 Zsolt Molnar Nov. 12, 2017, 10:17 p.m.
20160721 w1 Thursday - St Andrews summer school (Common Room) 2016-07-21 Truus de Ceuster June 5, 2016, 9:30 p.m.
160721 w1 Thursday - Common Room - St Andrews 2016-07-21 Martina Mueller-Franz June 6, 2016, 3:11 p.m.
160721 w1 Thursday - Younger Hall - St Andrews 2016-07-21 Martina Mueller-Franz June 6, 2016, 3:16 p.m.
Unit 5 dance assignment bank December 2017 Sue Ronald April 27, 2018, 6:55 p.m.
Unit 5 Dances Charles Liu March 4, 2015, 2:18 a.m.
Budapest Local Club 02.11.2017 2017-11-02 lldikó Szakolczai Nov. 6, 2017, 7:32 p.m. Exam list 2018-09-15 Atsuko Clement Oct. 23, 2018, 1:29 p.m.
2016 Asilomar Weekend ~ Saturday, Kim McGarrity Memorial Ball 2016-10-29 Asilomar Weekend June 27, 2017, 9:20 p.m.
RSCDS SF Asilomar 2016 Saturday Ball 2016-10-29 Rachel Pusey June 29, 2016, 12:10 a.m. 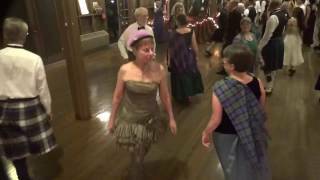 Wedding Ball March 18 2017 Sue Ronald March 14, 2017, 9:56 p.m.
RSCDS Dundee 2015 July 20 Stella Phillips March 19, 2015, 11:38 p.m.
Argyle 2017 Ball 2017-11-11 Ellie Briscoe Sept. 26, 2017, 11:36 p.m.
Desertcreat Tea Dance 2019 Ruth Clarke Jan. 24, 2019, 1:18 p.m.
20th Annual Delaware Valley RSCDS Delaware Ball 1999-11-13 Andy Peterson Nov. 26, 2018, 12:35 a.m.
Pinewoods 2018 Scottish Session 2 2018-07-09 Charles Liu Feb. 16, 2018, 6:45 a.m.
Delaware Valley Branch Hogmanay Ball 2018-2019 2018-12-31 Ward Fleri Nov. 4, 2018, 2:47 a.m.
Pinewoods 2015 Scottish Session II 2015-07-13 Sue Ronald April 6, 2015, 1:45 a.m.